Today Sanyo Japan announced a new high-end projector, the LP-WXU700 [JP], which is the world’s first WiFi-enabled projector supporting the IEEE802.11n standard (and thus the fastest). 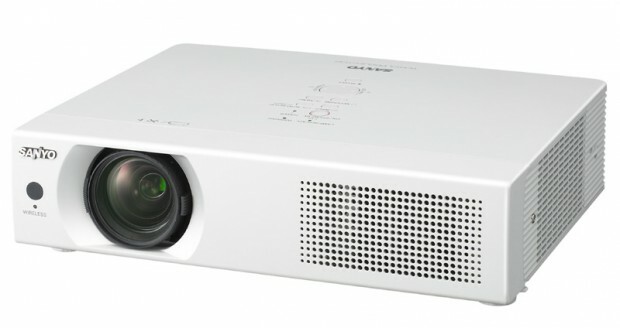 Sized at 334.2×78.4×257.5mm (weight: 3.6kg), the device is marketed by Sanyo as a mobile projector. Sanyo says users can conveniently stream video from their PCs through the projector (it also supports the Windows Vista Network Projector standard). The WXGA device features a 500:1 contrast ratio, produces 3,800 lumens brightness and comes with a 275W lamp. Sanyo also threw in one HDMI and one USB interface. The LP-WXU700 goes on sale in Japan on June 19 and costs $6,300. It’s unknown at this point whether Sanyo will sell the projector outside Japan as well.